Professional carpet repair and expert carpet installations onboard a ship in London. The Sunborn Princess floating hotel is moored up on the East side of London Docklands opposite the Excel Arena. 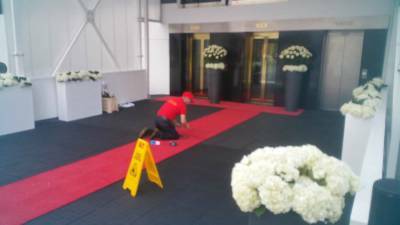 The team at Carpet Doctor got straight to work with a list of carpeting tasks including red carpet supply and installations, carpet fitting, carpet repairs and carpet cleaning in London.